Elsa Cosplay . 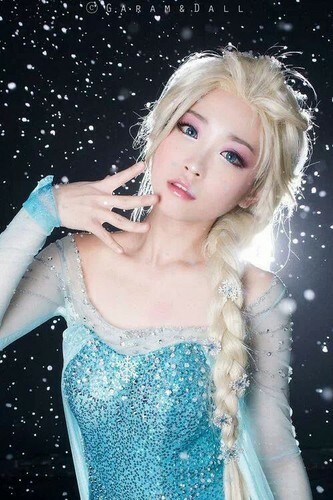 SO AMAZING.... . HD Wallpaper and background images in the Frozen club tagged: photo frozen elsa cosplay costume play. This Frozen photo might contain cocktail dress, sheath, bridesmaid, maid of honor, dinner dress, dinner gown, formal, and evening gown. This one actually looks really good ! And pretty accurate too ! Best one I've seen definitely !